The Valpolicella is produced by fermenting fresh grapes, mainly the Corvina and Corvinone varieties. The harvest moment is extremely important for this wine, given the delicacy of its aromas and the balance that is highly dependent on acidity. 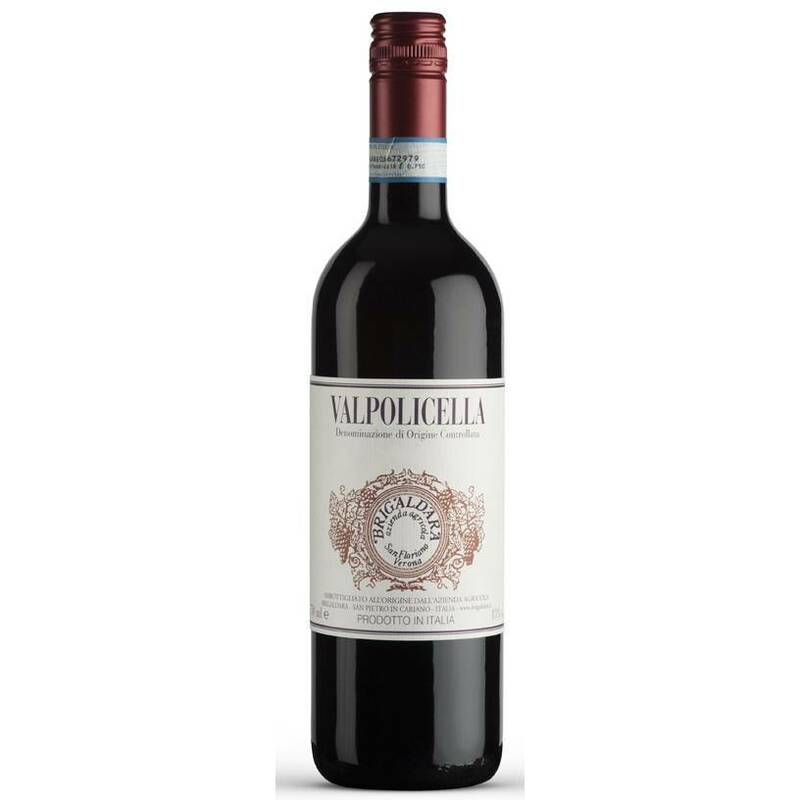 Valpolicella from Brigaldara is a wine that is drunk every day with aromas typical of the valley area where the grapes grow. These aromas include cherries as well as some herbs depending on the Erntejahr. In order to keep the scent of the wine in balance, they let it ripen briefly in steel barrels, so that it can retain its natural aromas. The entry-Valpolicella from Brigaldara makes it easy for us: screw cap. This includes a content that does not make it too complicated, but is seriously tasty. Crisp cherry fruit, sour berries, spice and pepperiness. And a healthy drive to drink.